The HTML5-based maps will include offline capabilities, voice-guided walk navigation, and public transportation directions. Nokia said Here will launch on the iOS App Store in the coming weeks. "People want great maps, and with Here we can bring together Nokia's location offering to deliver people a better way to explore, discover and share their world," said Nokia President and CEO Stephen Elop. "Additionally, with HERE we can extend our 20 years of location expertise to new devices and operating systems that reach beyond Nokia. As a result, we believe that more people benefit from and contribute to our leading mapping and location service." Nokia's new mapping service will also be available on its own handsets that run Microsoft's Windows Phone platform, and dedicated Here applications will also come to Google's Android and Mozilla's Firefox OS. The Finnish handset maker also announced that it plans to enhance the 3D capabilities of Here with the acquisition of earthmine, a maker of reality capture and processing technologies. "Maps are hard to get right - but location is revolutionizing how we use technology to engage with the real world," said Michael Halbherr, executive vice president of Location & Commerce and responsible for the Here brand. "That's why we have been investing and will continue to invest in building the world's most powerful location offering, one that is unlike anything in the market today." 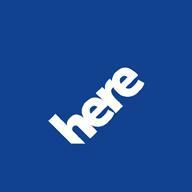 The debut of Here on iOS means Nokia will take on Apple's own Maps application found in the iOS 6 operating system for iPhone, iPad and iPod touch. Users and pundits have deemed Apple's mapping solution to be inferior to its predecessor, which was powered by Google Maps. Criticism of iOS 6 Maps became so pronounced that Apple Chief Executive Tim Cook issued an apology in September, acknowledging "the frustration this has caused our customers." Cook vowed that Apple's Maps would improve, but also suggested alternative applications for users to turn to in the meantime. Google is believed to be working on a dedicated iOS App Store application for its own Google Maps product. In the meantime, the service is available through the Safari browser on iOS devices.